Based on 2 people sharing an exterior room. 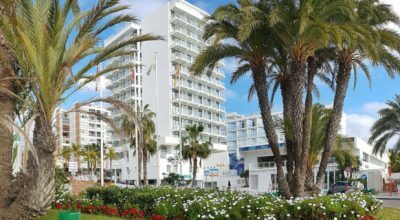 This 4 star Sunset Beach Club hotel is located right on the beachfront in Benalmádena and in close proximity to many bars, restaurants, golf courses and the popular Puerto Marina. 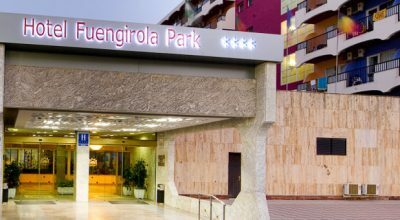 The hotel is also situated close to many great golf courses and just a short 20 minute drive from Malaga AGP airport. 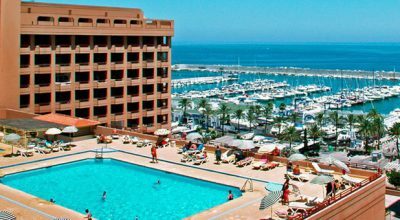 Apartments at the Sunset Beach Club are well equipped and offer satellite TV with international channels, kitchen with oven, microwave, tea and coffee making facilities as well as air conditioning and heating. 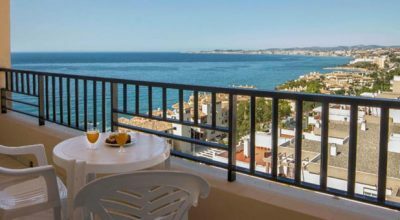 There is also a safe (extra charge) and each apartment has its own terrace with sea or mountain views. Each apartment has its own full bathroom with hairdryer. 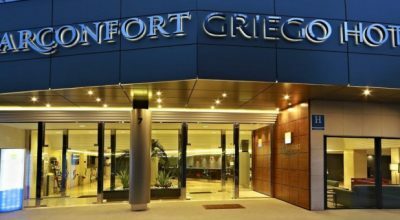 There is also an iron, ironing board, direct dial telephone and FREE Wi-Fi. 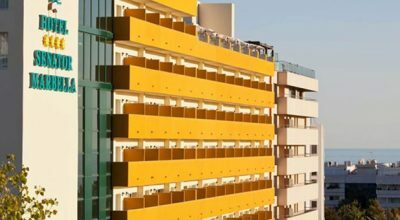 The amenities at the Sunset Beach Club are first class with much for you do and enjoy during your stay. 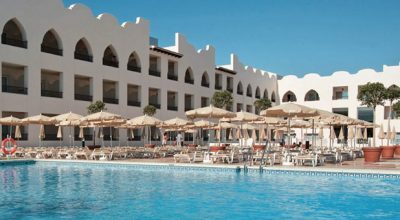 Facilities include six restaurants, bars, coffee house, snack bar, supermarket/bakery, two outdoor swimming pools, fitness centre with pool, gym and sauna and lots more. 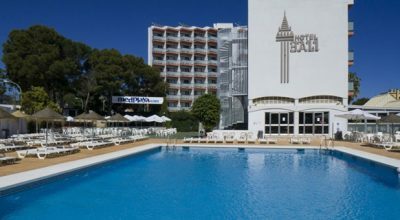 The hotel offers regular activities and events including live music and evening entertainment offered all year round. 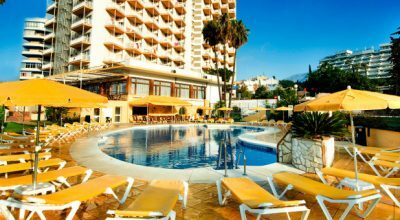 The Sunset Beach Club is in the perfect location for you to enjoy your golf holiday in Benalmadena. 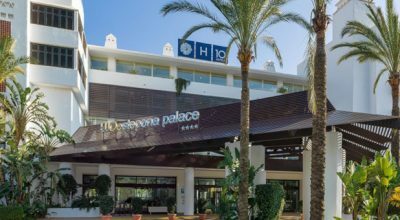 The hotel sits in the enviable position on the seafront and is in close proximity to golf courses, beaches and local nightlife. Packages based on a minimum of 8 people. 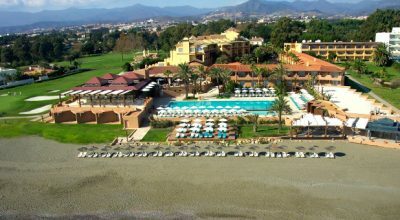 Includes 2 or 4 rounds of golf at Alhaurin, Cabopino, Calanova, La Cala or Lauro.